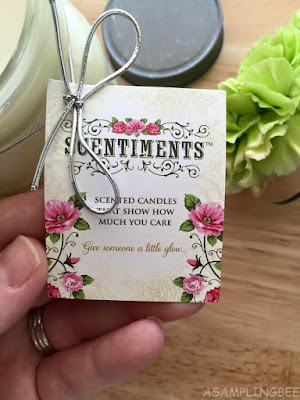 Scentiments Candles are hand-made in the USA. When ordering, you can choose from four different titles. The title are Happy Birthday, Family, A Friend and Sister. 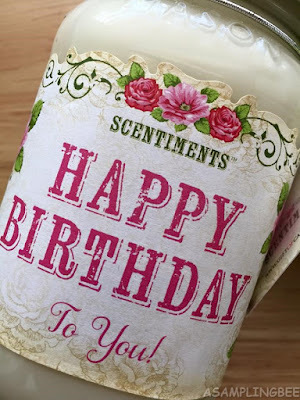 You also can choose from four different scents. Those scents are Vanilla, Cool Cotton, Cinnamon and Lavender. These candles make a great gift! The candle comes with a cute tag. On the back there is a "To" and "From" that you can fill in. I love this candle. I love the vanilla scent. It makes my whole house smell great. The candle gives off a great amount of scent. It's not overbearing. 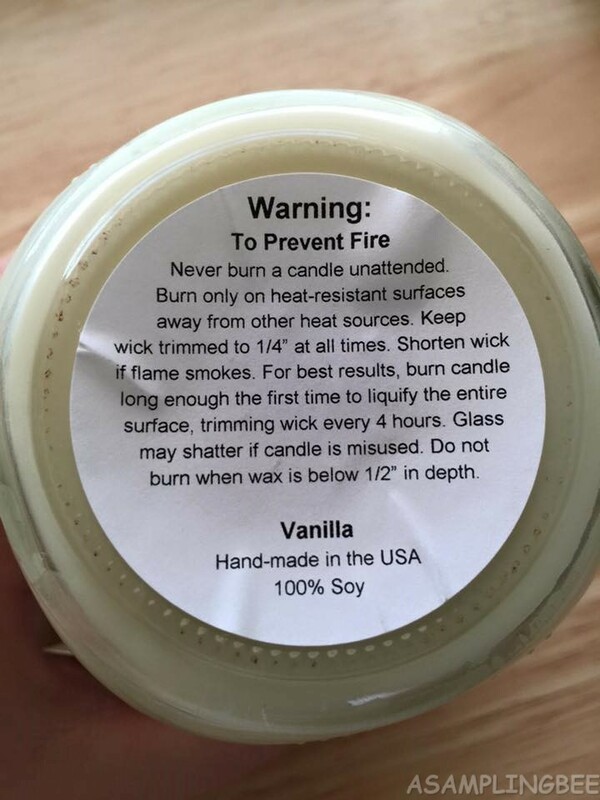 When the vanilla scent is lit, my house smells like I have something baking. I usually put my lit candles in the kitchen. Which I notice makes the scent travel all throughout the house. 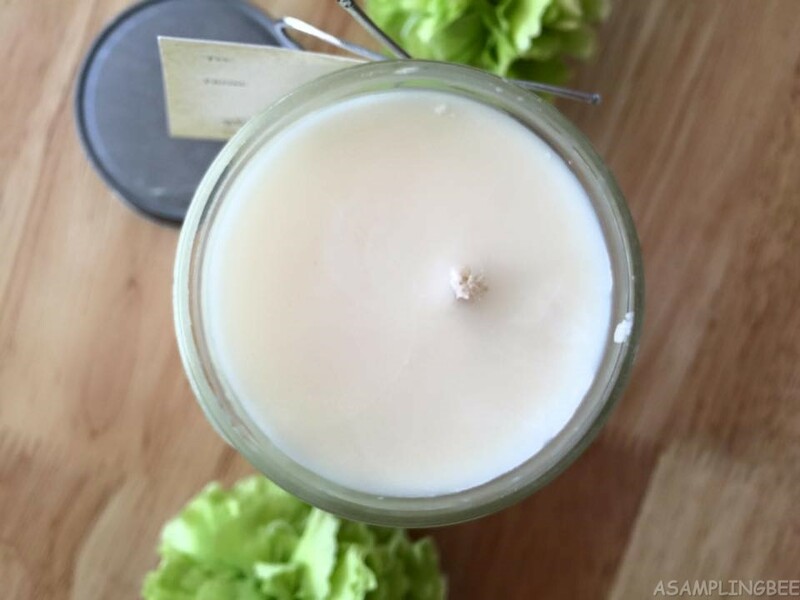 You know how sometimes you light a candle and only the center of the candle melts? 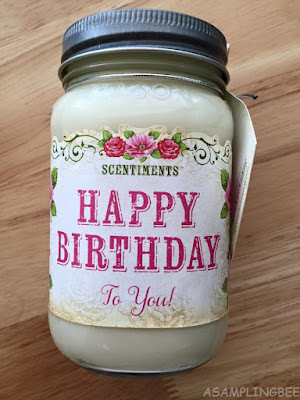 Well, you wont experience that with this candle. The candle burns evenly. Which to me means I am getting my monies worth. 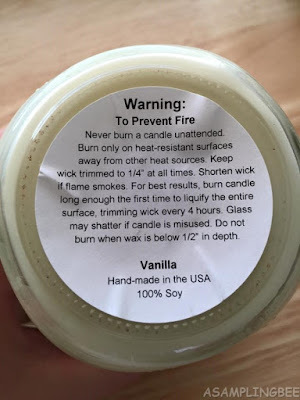 I believe that that has something to do with the candle being soy. The gift tag is a nice added touch.